A Sudden couple who believe getting their gas fire fixed could have saved their lives are urging older residents to take advantage of a new scheme to get their gas appliances checked before winter arrives. Rochdale Borough Council is aiming to educate residents about the level of alcohol contained in many of the market’s most popular products. 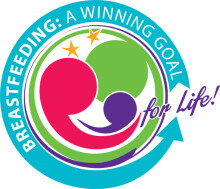 Businesses and shops in Rochdale borough are being asked to show their support for breastfeeding mums by signing up for the Breastfeeding Welcome Scheme. 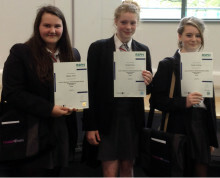 Year 10 and 11 health and social care students at St Cuthbert’s Roman Catholic Business & Enterprise College received certificates in recognition of becoming Rochdale borough’s youngest ever ‘Health Chatters’ at a presentation held at the school. There has been an overwhelming response to Rochdale Borough Council’s Improving Pharmacies survey - and there is still time for residents to have their say. 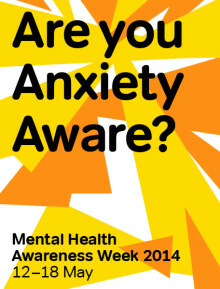 Rochdale Borough Council is urging residents to speak up about issues of anxiety, as part of this year’s Mental Health Awareness week. Rochdale Borough Council’s efforts to reduce inequality in health and advise young people of the health risks associated with smoking have continued with the introduction of a Peer Supporters programme for local students. 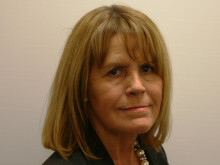 Rochdale Borough Council has placed 16th out of a total of 353 local authorities in England and 4th of 23 in the North West for the number of residents receiving NHS Health Checks in figures published by Diabetes UK. Rochdale Borough Council is inviting residents to have their say on the services provided by their local pharmacy. NHS Heywood, Middleton and Rochdale Clinical Commissioning Group’s (HMR CCG) Governing Body will meet on Friday 16 May - and residents of Rochdale borough are invited to attend to discuss healthcare in the area. A new medical unit developed purely for patients with dementia from Rochdale borough has opened at Rochdale Infirmary, where there will be a social worker from Rochdale Borough Council Social Services.